Join TSJ, GEM, and CTU in organizing against school closings. 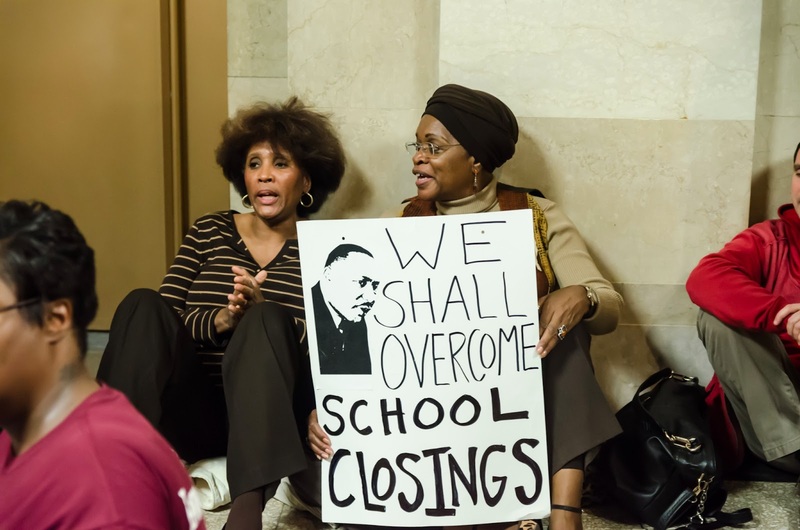 Help us gather TSJ folks to prepare for the March 27th STOP SCHOOL CLOSINGS Rally! 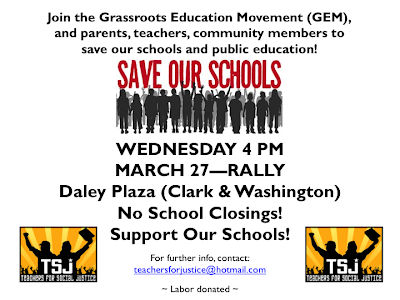 On March 27th, GEM will host a rally at Daley Plaza (Clark & Washington) to demand NO SCHOOL CLOSINGS! We are meeting at 4PM! Please come out for this important action! 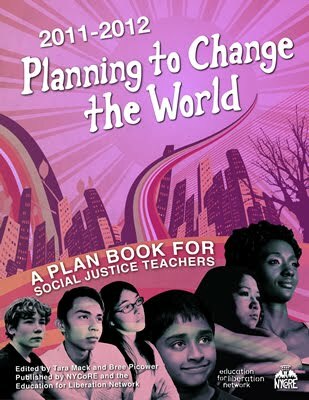 Sign up here to attend the rally with TSJ. Download the TSJ Rally flyer here. 2. 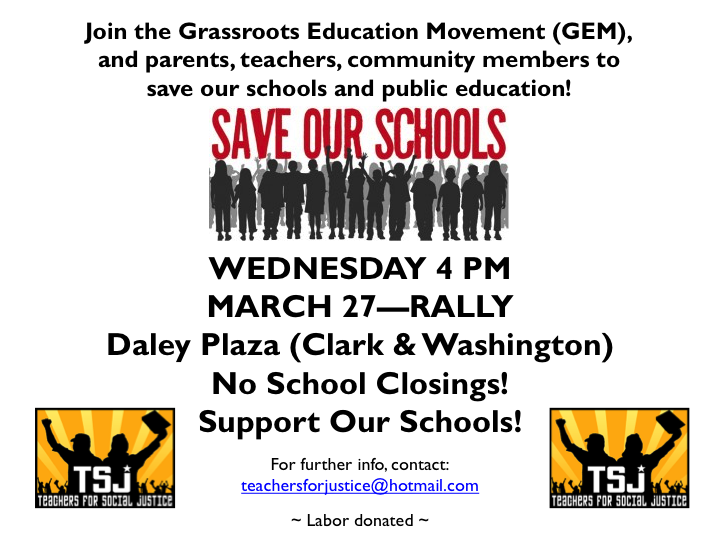 Help TSJ phone bank our members for the March 27th NO SCHOOL CLOSINGS rally. We will be phone banking Thurs March 21, 7-9pm (location near downtown). Sign up here to phone bank. 3. Attend the ART/BANNER making party for the March 27th Rally. 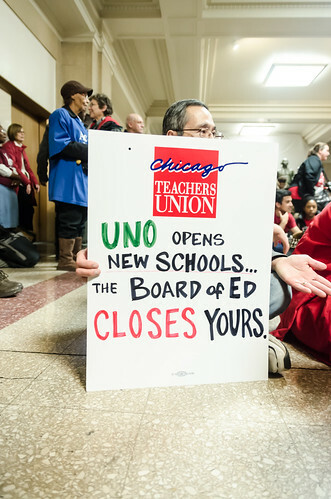 Hosted by Jobs with Justice, Monday and Tuesday, March 18 & 19, 6-9PM, 333 S. Ashland Ave. All are welcome!